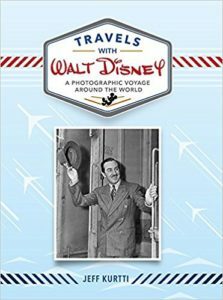 Author Jeff Kurtti joins us to discuss his new book Travels with Walt Disney, A Photographic Voyage Around the World. We also touch on his role in the documentary The Boys, which features the Sherman Brothers and their music. We finish up with a fun discussion of Disney Cruise Line from an Artistic point of view. You can find all of Jeff’s books through Amazon. You can find the documentary The Boys on Amazon, iTunes, Youtube, and Google Play.